Classically elegant! 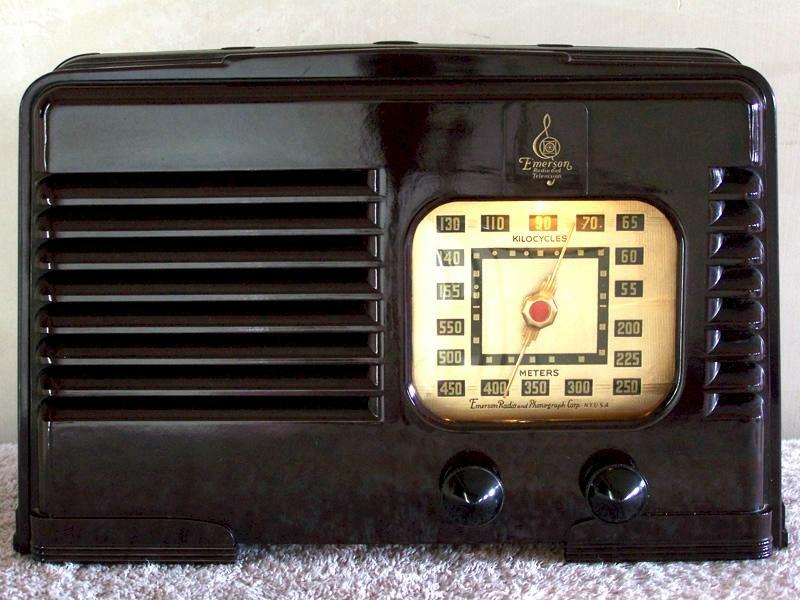 You see many Emerson Ingraham wood cabinets that rate a rather lofty elegant title, but not many Emerson Bakelite radios are worthy of that distinction! However, this example is most worthy! Incredibly unique in design! The 330-B was made in three parts: a front, a middle (horseshoe shape), a back and, of course, the chassis loads from the bottom! So Vogue! Electronically reconditioned with all five tubes checking out strong! It has an external antenna connection for extra sensitivity and it is recommended that it be used. A Jim Dennis Scale of Beauty "d'une élégance classique" special! If you'd like additional pictures please let me know. You are visitor number 2,914 to this page.